Visa processing time: Regular pick-up time is the fourth working day. The Center offers express service or rush service. For express service, visa will be ready for collection on the third working day. For rush service, application should be submitted before 12:00 noon and visa is ready for collection on the second working day (after 11:00A.M.). For mail application, the processing time is ten working days (from the day of receipt to the day of mailing out). Besides visa fee and express fee, CVASC will charges service fee (inclusive of GST). 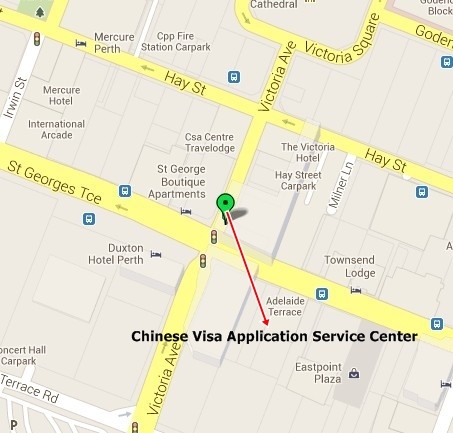 With the opening of the Center, holders of diplomatic, service (official) passport, or applicants qualified for the diplomatic, courtesy, service visa, or applicants applying for the Hong Kong visa/entry permit or Macao visa may still submit their applications directly to the Chinese Consulate General in Perth without change. 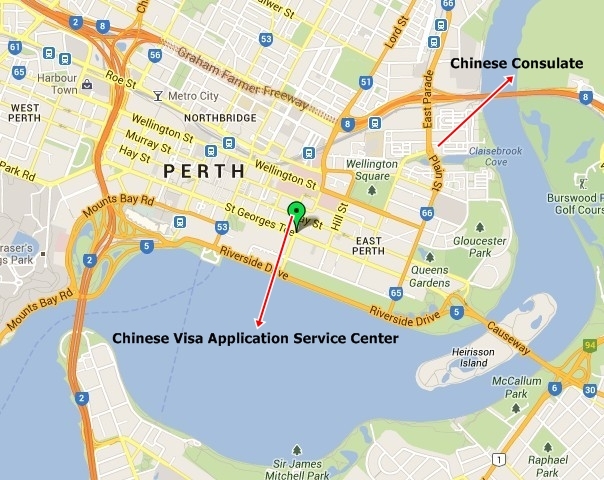 Fordocuments authentication, Applicants in WA still need to come to the Chinese Consulate in Perth to lodge application.